Cherry Blossom Trees | Pi'ikea St. The cherry blossom trees are blooming this time of year and most kids, like my daughter, get excited whenever one is spotted. Unfortunately, the blossoms don’t stick around too long and those pretty pink hues will soon be covering the streets or blowing in the wind. We’ve got not one, but two crafty solutions for keeping those cherry trees bloomed all year long. Grab one or two sticks from your nature-walk collection (everyone has a nature-walk collection, right?) and prune them so they begin to take the shape of a tree. If there aren’t enough “branches”, use another stick that could fill in the gaps. To keep your sticks in place, fill your bottle or vase with marbles or maybe your rock collection. If you don’t have anything heavy to fill it with, use a ball of dough. Set aside. To prepare the flowers with watercolors, paint some circles on white or light colored card stock. Allow to dry. 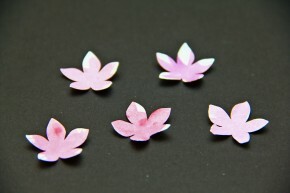 To prepare both kinds of flowers, cut out flower shapes with a scissors or use a flower hole punch if you have one. Try to center the flower over the water colored circle before cutting out the shape. 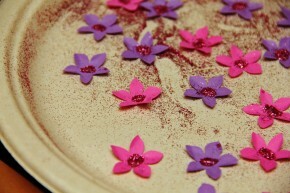 You can now add some glitter to the flowers by adding a dab of glue to the middle of each flower. Then sprinkle on some colorful glitter. Allow to dry. Add some dimension to your flowers by pinching each petal and folding them toward the center. 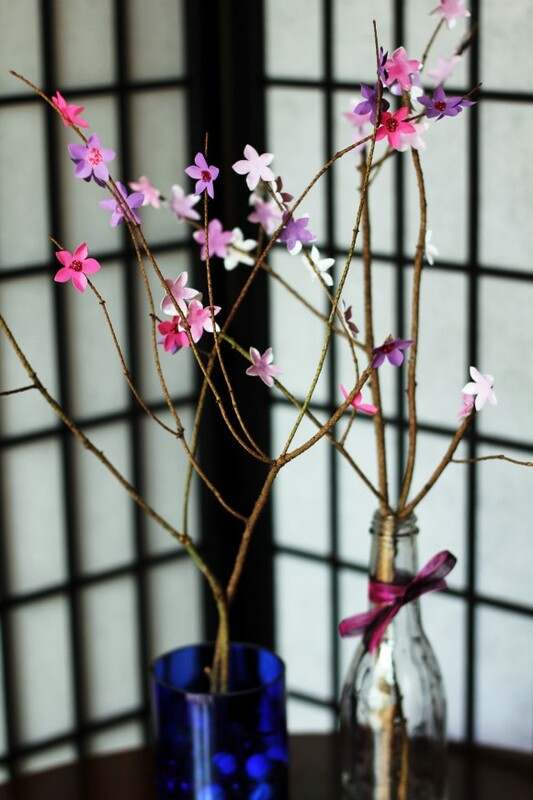 Now you’re ready to start gluing your flowers to the tree. A hot glue gun works best but let a grownup do this part. Regular glue will work too. 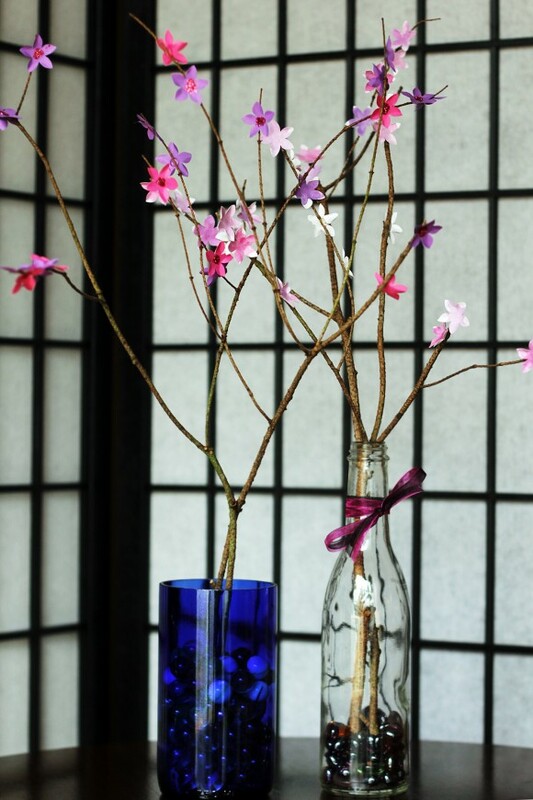 There, now you’ve got lovely sakuras to brighten up your home any time of the year! Enjoy!